Why the NFBA? Because We Do What Works! For over 30 Years, the National Fitness Business Alliance has been the leading educator in fitness business education. In 2017, the NFBA and Perform Better partnered up to make sure you will receive the best education on growth in the fitness world. Combined, we have had a million participants attend our workshops: from training gyms, full sized traditional fitness businesses, franchise owners and start-ups – All attend our seminars. Unlike other events you may attend our events are fun, educational and you’ll leave with a full outline of what you need to do to make change in you’re business. Our workshops are fast-paced, honest and straightforward. Regardless of the skillset you have in the business of fitness EVERYTHING the National Fitness Business Alliance has to offer you will make an impact. Hope is not a good business plan. If you want to succeed in the fitness industry you need to attend our seminars and check out our support tools. Don’t wait until for something happen within your business that will force you to focus on business education. It’s a small investment today that will help avoid costly mistakes in the future!! 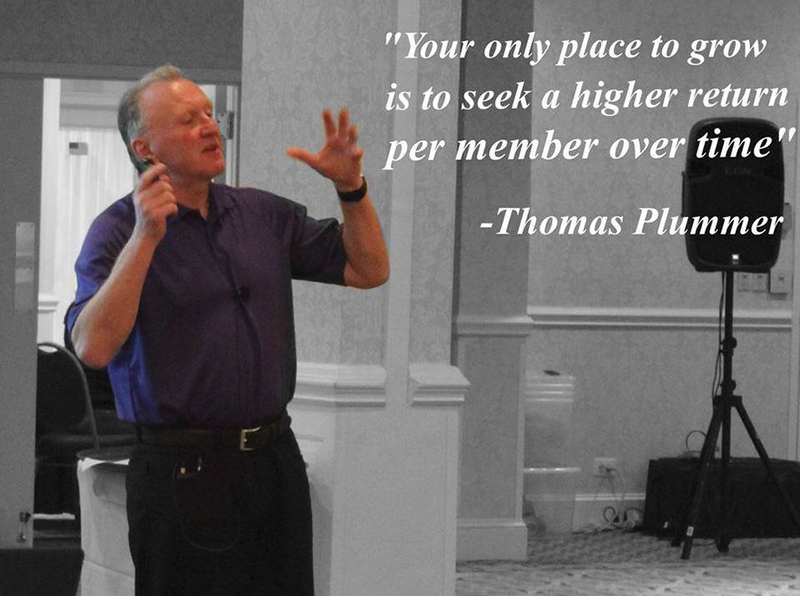 The most successful fitness business education seminar program in the world, was created and designed by fitness business legend Thomas Plummer. Teaming up with Thom, Perform Better has created a place where fitness professionals can ask questions, get answers, make money and grow their careers. Whether at one of our workshops, over the phone or through the multiple products we offer online. 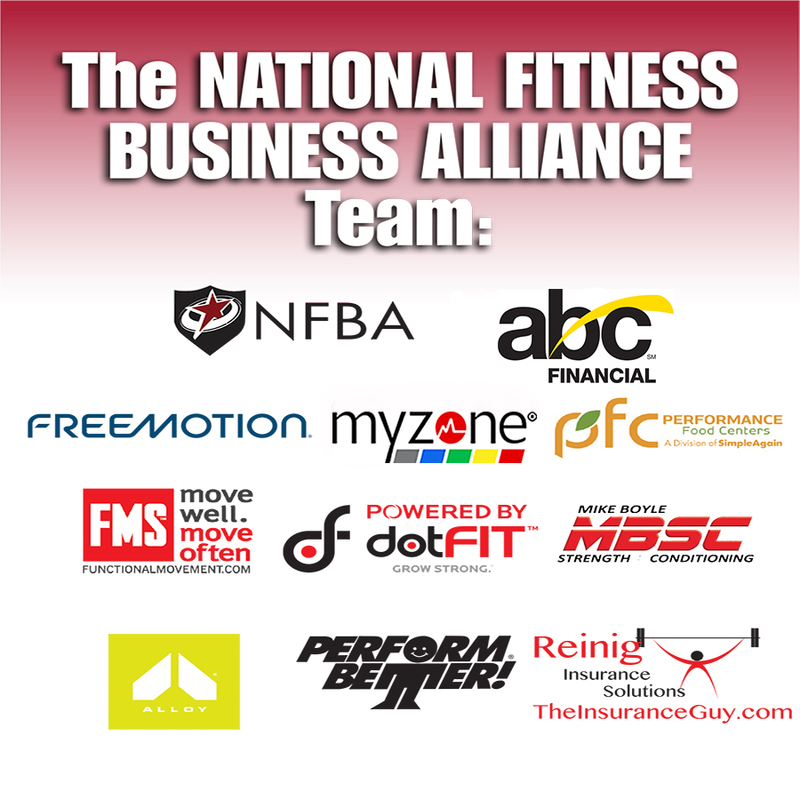 The NFBA has been the leader in fitness business solutions for over 3 decades. We have the edge that most "consultants and educators” in this industry don’t have – ANSWERS! ABC Financial is the nation’s leading software and payment processing provider for health and fitness clubs. Its comprehensive offerings include payment processing solutions and advanced health club management tools allowing gym owners and managers to track and manage memberships and member and employee schedules, drive member engagement and automate payment processing functions. Founded in 1981, ABC Financial’s innovative technology and customer-centric service are utilized by more than 7,500 gyms across the United States, Canada, Mexico and Puerto Rico. The company's software has won numerous design and feature awards, such as Club Industry's Best of the Best and IHRSA's Vendor of the Year. In January 2018, ABC Financial was acquired by an affiliate of Thoma Bravo, LLC, a private equity firm based in San Francisco, CA and Chicago, IL. For over a decade, FreeMotion Fitness has been the premiere manufacturer of the most innovative fitness equipment in the world. We invented cable-based functional training that allows the body to activate multiple muscle groups with free range of movement. It’s a simple idea that has vaulted FreeMotion into the brand of choice for clubs and elite athletes. Whether you’re an elite athlete or someone who works out in the limited time they have, our world-class, cable-based products are designed to engage your entire body in less time. Our elite line of cardio equipment combines this philosophy with state-of-the-art technology to help you reach your pinnacle of fitness. Developing the newest, revolutionary paths to fitness is a ceaseless pursuit of all of us at FreeMotion. Our unsurpassed investment in product development, research and education provides complete, innovative fitness solutions for clubs and their clients. Performance Food Centers is the complete solution for all your Juice Bar needs, encompassing everything from initial design through supply distribution. Whether you're starting from scratch or simply looking to reinvigorate your existing business, PFC gives you a customized program that fits your business model and helps your business thrive. FMS uses objective and validated standards to check the movement baseline and build foundations for lifelong movement success. Therefore, certified professionals can discover the best opportunities to improve movement and identify how to train with purpose and precision in order for individuals to achieve their fitness, sports performance or return from injury goals. The FMS is the screening tool used to identify limitations or asymmetries. It measures seven fundamental movement patterns that are key to functional movement quality in individuals with no current pain or known musculoskeletal injury. Using FMS scoring results, movement principles are then put into action to make programming decisions and guide purpose-driven exercise selection. The FMS is that ongoing feedback tool that makes the entire training process -- both short-term and long-term -- both effective and efficient. Mike Boyle Strength & Conditioning offers the most comprehensive performance enhancement training, reconditioning and personal training in the nation. MBSC's results- driven approach covers every aspect necessary to achieve your goals, whether they involve sports performance, weight loss, or a healthier lifestyle. Time and effort spent training at MBSC will translate into peak performance in any athlete's respective sport. If you are looking to lose weight or need a jumpstart to getting back in shape, our trainers will provide the knowledge and the means to help you become fit and stay that way. For athletes recovering from an injury or surgery, we offer a wealth of knowledge and training experience with our MBSC Training Staff, our In-House Physical Therapist and 5 Massage Therapists. Alloy® was created around a very simple concept: people that get coaching get better results- period! We love fitness almost as much as we love getting people in the best shape of their lives. The Alloy® systems are simply the most effective programs in the world for helping people look and feel their absolute best. From our high volume personal training center that conducts over 60,000 sessions a year to our hundreds of licensees worldwide, Alloy® knows the formula for producing the best results in the least amount of time. With University degreed exercise physiologists, Dr. of Physical Therapy, Registered Dietitians, and Behavioral Specialists on our advisory board, we combine cutting edge science with real, in-the-trenches experience in which creates the magic formula for world-class personal training systems. What does this all mean? Real results! dotFIT was founded by NASM owner and Apex Fitness founder Neal Spruce and provides free fitness and nutrition advice, online fitness and exercise programs, supplements, and more. At Reinig Insurance Solutions, we provide complete insurance solutions for the Fitness Industry. As past president and founder of Association Insurance Group, Ken Reinig has been insuring health clubs, instructors, and personal trainers for over 20 years. We offer everything from Commercial Liability, Property, Professional Liability and Workman's comp to Equipment Manufacturers' Product Liability and Key Man Life insurance. It is our goal to not only provide the appropriate insurance solutions to our specific client's needs, but also to provide the risk management tools, education, and protocols to help reduce or eliminate the exposures that can result in liability or property losses. We provide a number of the latest forms and waivers absolutely free on our website, and a complete safety risk management guide to all of our clients. If you are currently dissatisfied with your existing insurance company, or if you would simply like to save some money on your insurance premiums, please contact Ken and Tiffany.